Isis has been defeated in Iraq and Syria. The caliphate declared in 2014, which was once the size of Great Britain, is no more. Its de facto capitals, Mosul in Iraq and Raqqa in Syria, were captured after long and bloody sieges in the second half of 2017. But Isis was always more than a murderous religious cult. What made it so dangerous at the height of its fortunes was that its commanders also possessed a high degree of military skill, developed in a decade of ferocious warfare. Isis commanders will have foreseen that they would lose control of their territory and knew that they could not withstand ground assault backed by the massive firepower of the US-led coalition of air forces in Iraq and Syria as well as the Russian air force in Syria. They will have considered the option of reverting to guerrilla war in which surprise attacks and ambushes are supplemented by terrorist atrocities targeting civilians to demonstrate strength and spread terror. It is by such means that al-Qaeda in Iraq, the forerunner of Isis, survived its defeat in Iraq in a US-led campaign (the so-called “Surge”) in 2006 and 2007. It retreated to the deserts of western Iraq in order to wait for better times, which duly came in 2011 with the start of the civil war in Syria. Isis reemerged from its hideouts to catch everybody by surprise. Could this happen again? People in Baghdad are pleased that Isis has been defeated on the battlefield, but wary of celebrating victory too early and nervous that Isis may not be quite as dead as its leaders claim. The caliphate may have been destroyed but the caliph, Mohammed Baqr al-Baghdadi, is still alive. After the loss of Mosul, Isis did not make a last stand in any of its remaining strongholds such as Tal Afar and Hawaija; likewise in Syria after the fall of Raqqa, it did not fight to the last man in Deir Ezzor, acting as if it was determined to preserve some of its combat strength. But a second resurrection by Isis will be much more difficult that the first because local, regional and international forces will not want to be caught napping a second time. It has lost the advantage of surprise; its adversaries will see it coming and take precautions. In 2014, Isis looked like a winner to many Sunni Arabs in the Middle East who briefly imagined that its blitzkrieg attacks would capture Damascus and Baghdad. But today these victories, which Isis publicised as being divinely inspired, are but a memory and all Isis has to offer is hard-fought defeats. An alternative option for Isis is to send it commanders and fighters to other countries where the opposition is weaker than in Iraq and Syria. This has been happening in Yemen, Afghanistan, Sinai, Libya and other countries. Western diplomats say that Isis fighters from Iraq have been identified on the anti-Houthi side in southern Yemen. There are certainly opportunities for Isis in these places where they can take advantage of chaos, civil war, weak or non-existent states. 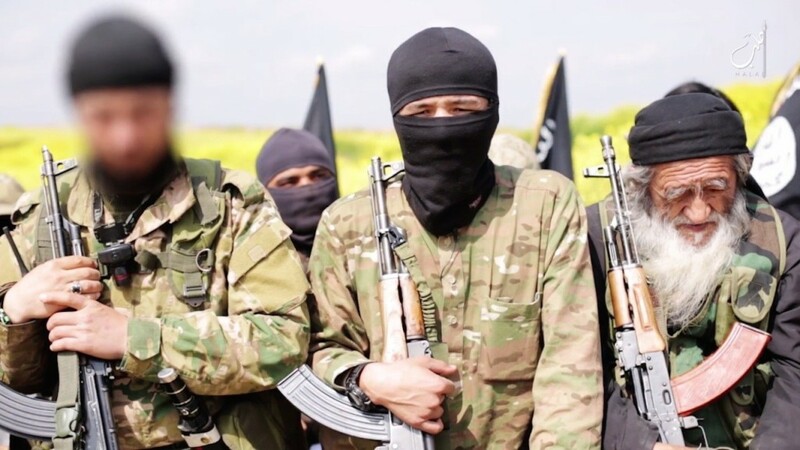 Isis and al-Qaeda type organisations still have some advantages: they are militarised cults with a core of believers who will fight to the death. But it is in the nature of cults that they treat everybody who is not a believer in their cause as an enemy and this means they have many enemies. This was a main reason for the defeat of Isis in Iraq and Syria: they had no allies at home and lost what covert support or toleration they had abroad from Sunni states like Saudi Arabia, Turkey and Qatar. These now fear that they will be the targets of surviving Isis fighters as they go home. The best hope for Isis and al-Qaeda is that their triumphant enemies will overplay their hands and persecute Sunni communities who will once again look to Isis to free them. This could happen, but people who once welcomed Isis to Mosul and Raqqa soon discovered that the new tyrants were worse than the old. Power did not mellow Isis but made it even more blood-thirsty and oppressive to all beliefs but its own. Isis is dying but it could kill a lot more people in its death throes. Next Kim Jong-un’s Overture Could Drive a Wedge Between South Korea and the U.S.